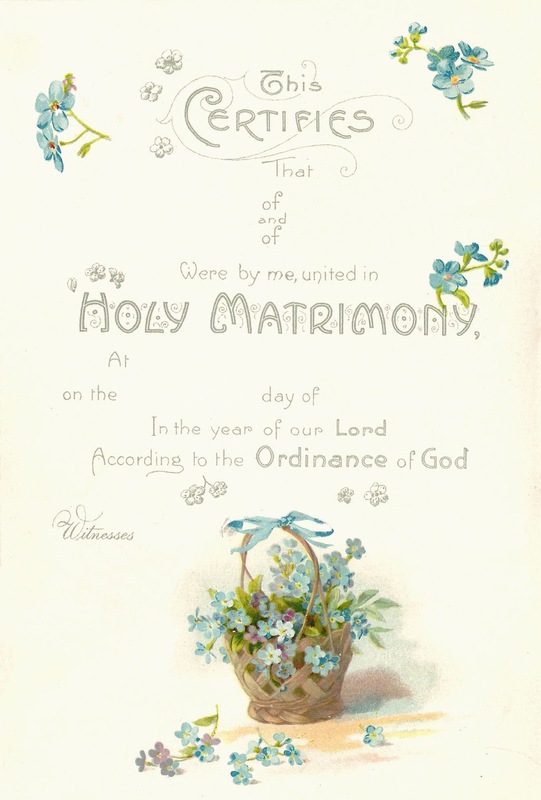 These two beautiful images are from a vintage wedding book. First, I've given you the original page where the basic information about the wedding is documented. 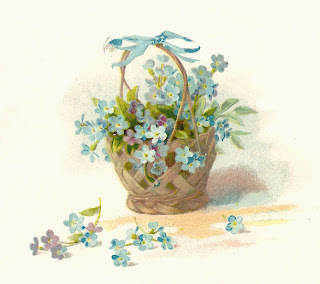 And, second, I've singled out the flower basket image. Actually, the basket image would be great for an Easter project as well! The blue Forget-Me-Not flowers are so pretty, and this vintage book is full of them. Enjoy! You're so welcome! Yes, I love these delicate little flowers too :-) Thank you for your kind comment. Precious! So delicate. Thank you!